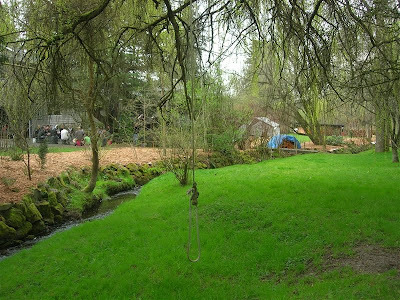 Little Swamp Creek: Stream-side Planting - Phase Two - Coming Friday! 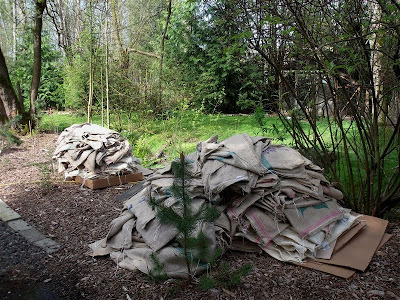 Big piles of empty burlap coffee bags staged in our yard means one thing - we are about to take part in another amazing Adopt-A-Stream planting project in our yard, with the help of the students of the L.E.A.F. School from Edmonds Community College. 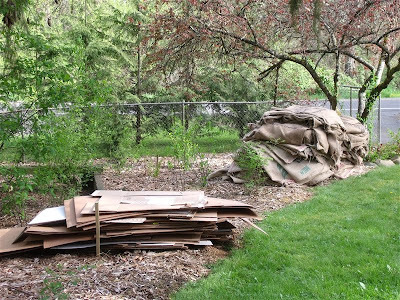 We will be getting rid of a bunch of lawn on the west side of the stream this time, planting native trees and bushes and mulching/covering the lawn in between the plants with the coffee bags and cardboard (recycled, of course). 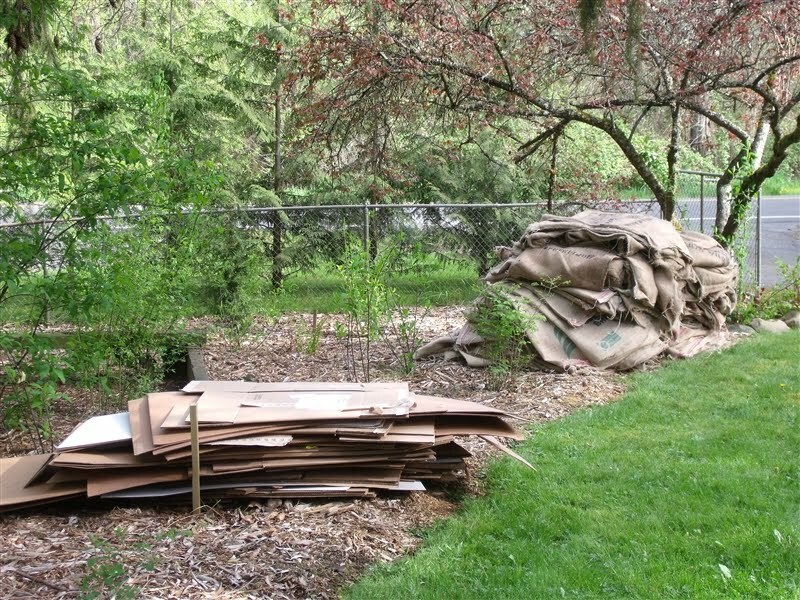 And hey, I just realized that this blog has been around for a year now. 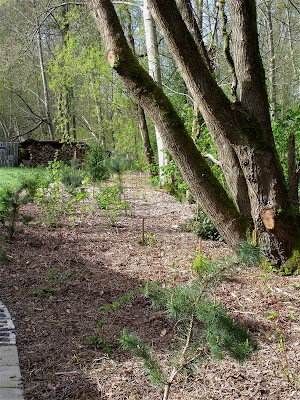 I started with the first Adopt-A-Stream-coordinated planting project last year. Nice! Just a warning - you can expect a flurry of posting for a little while here. I am going to have a lot to share.